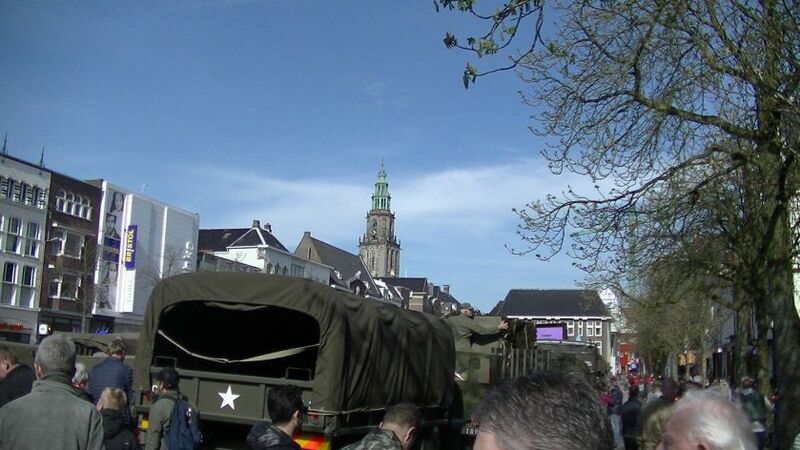 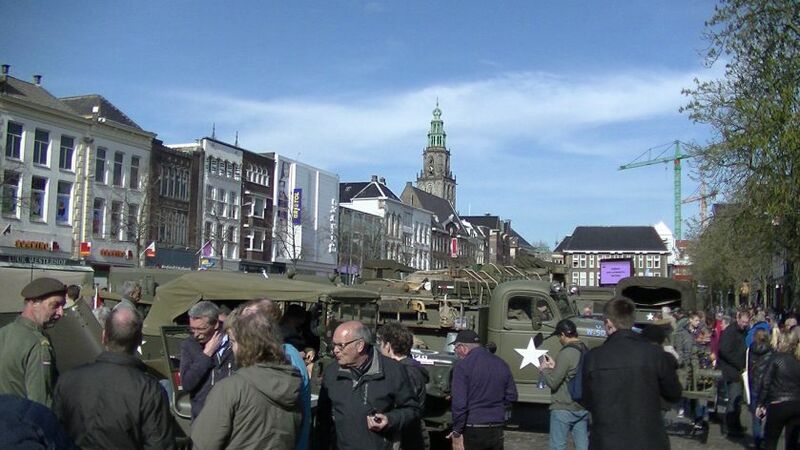 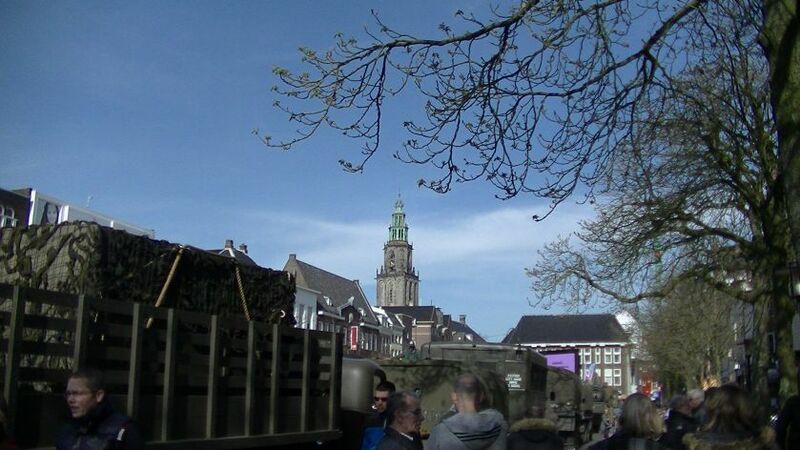 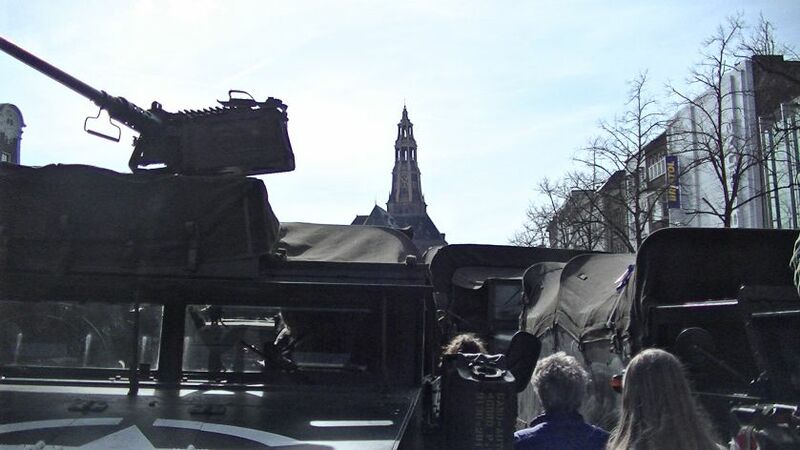 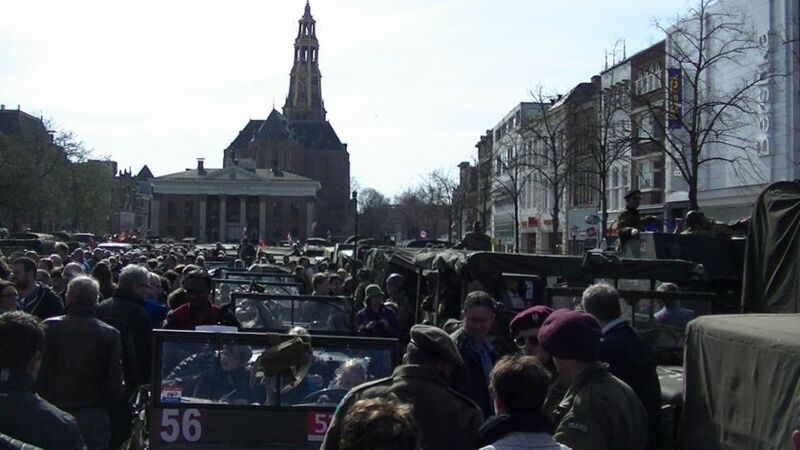 On Sunday 12 April 2015 we were in Groningen where we saw the re-play of the battle for the Grote Markt. 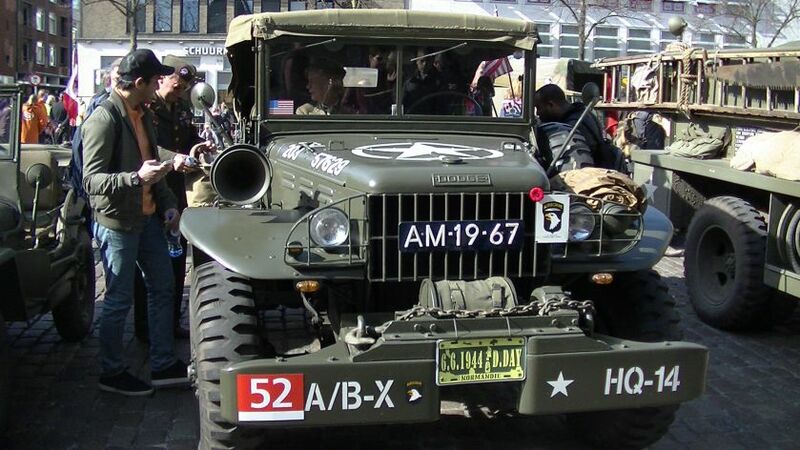 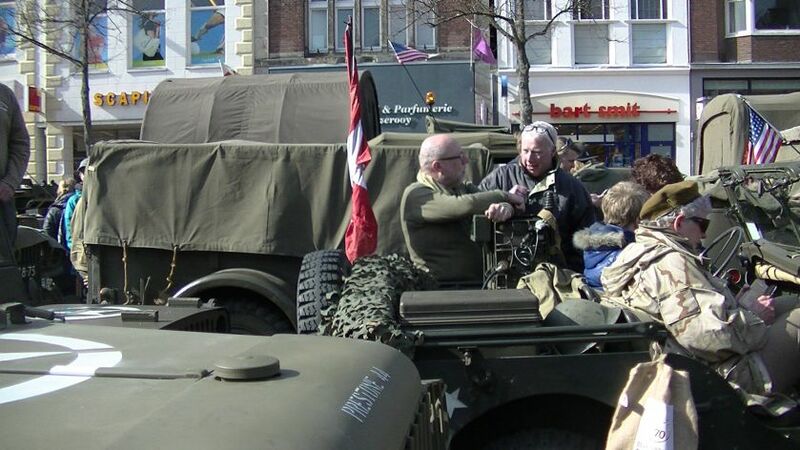 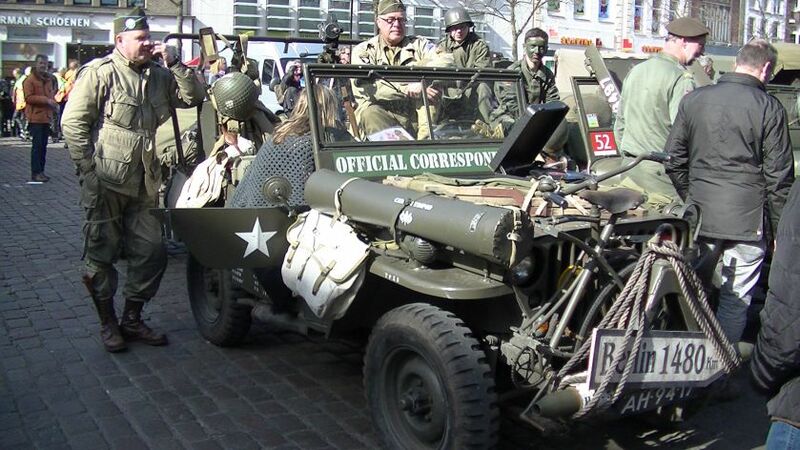 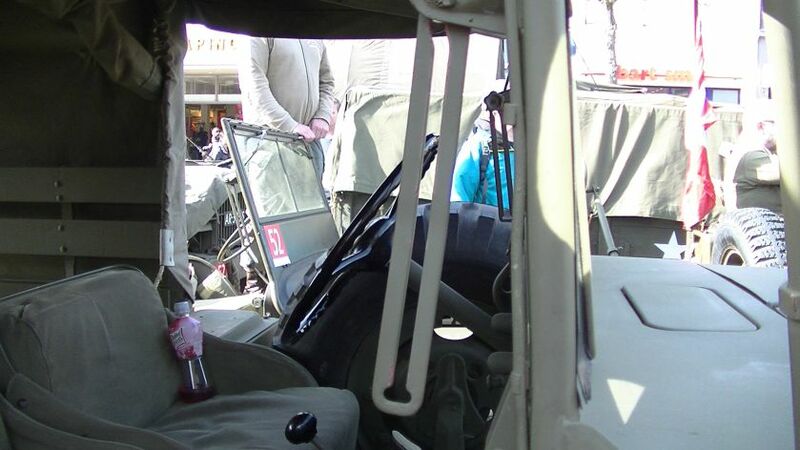 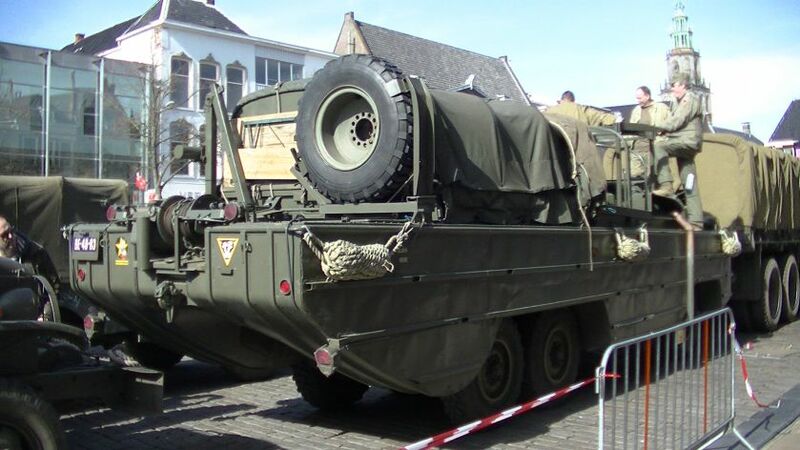 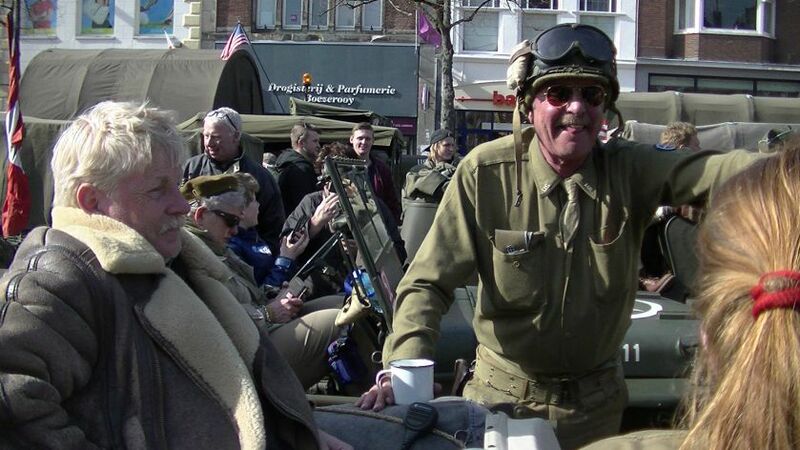 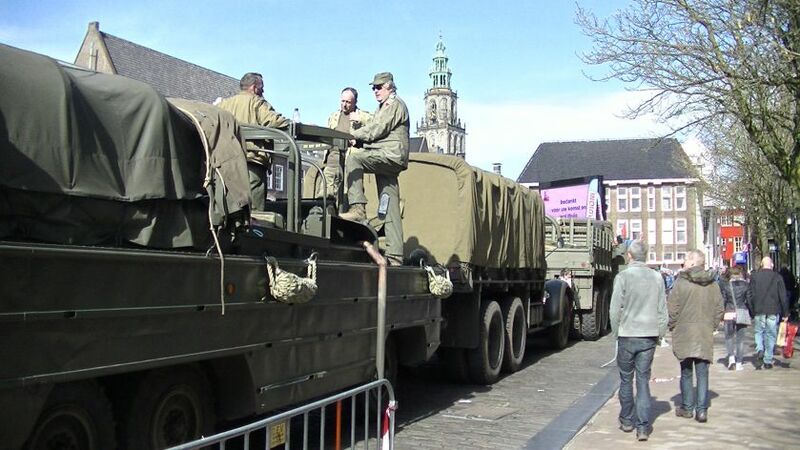 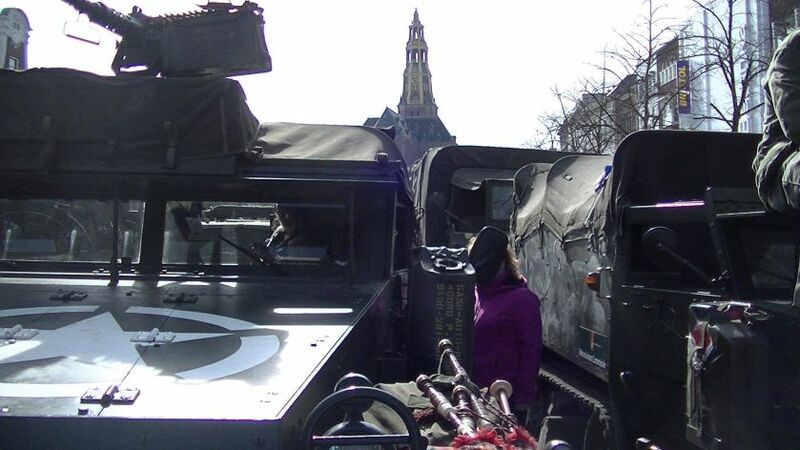 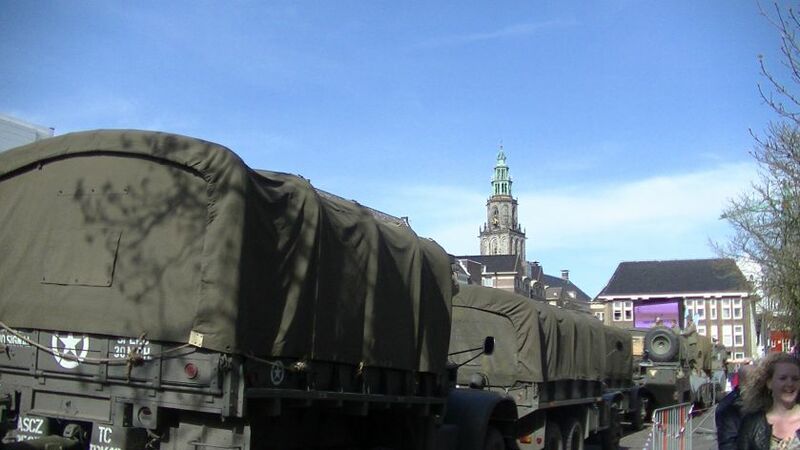 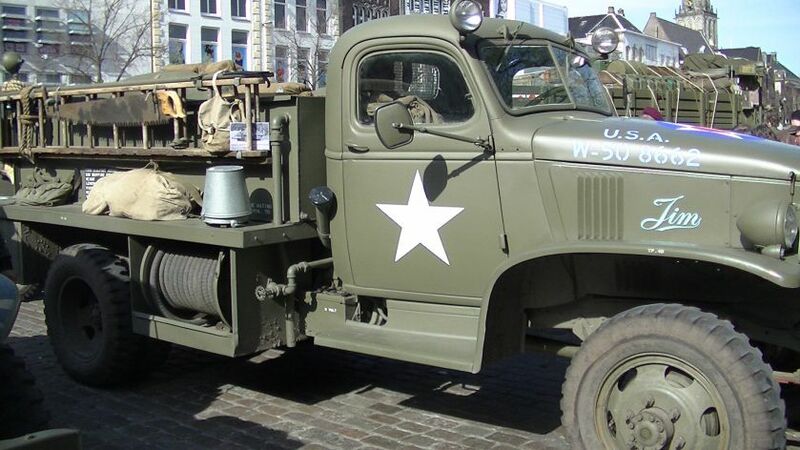 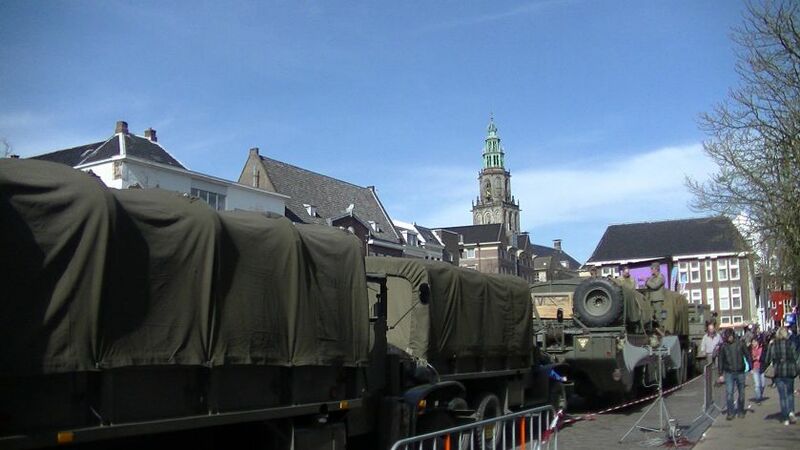 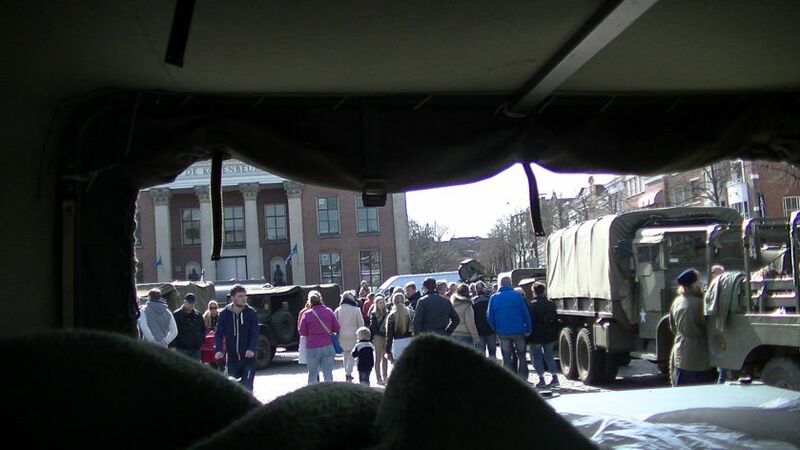 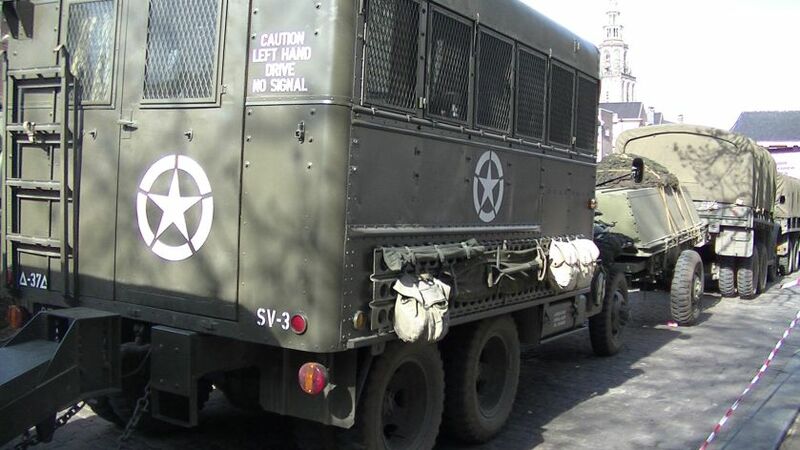 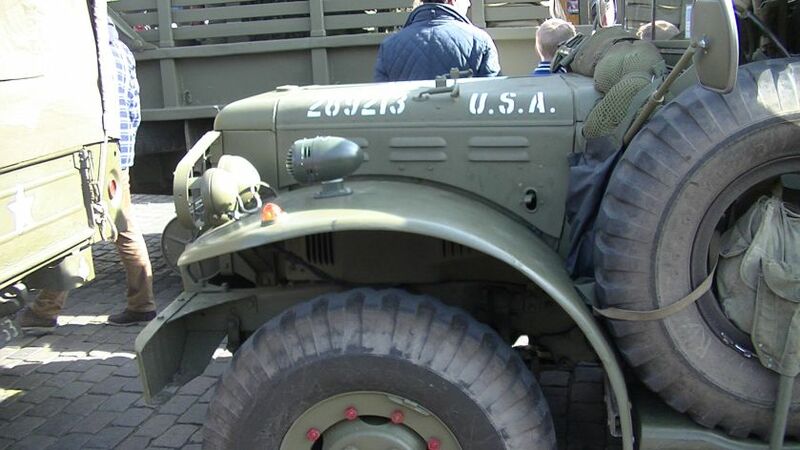 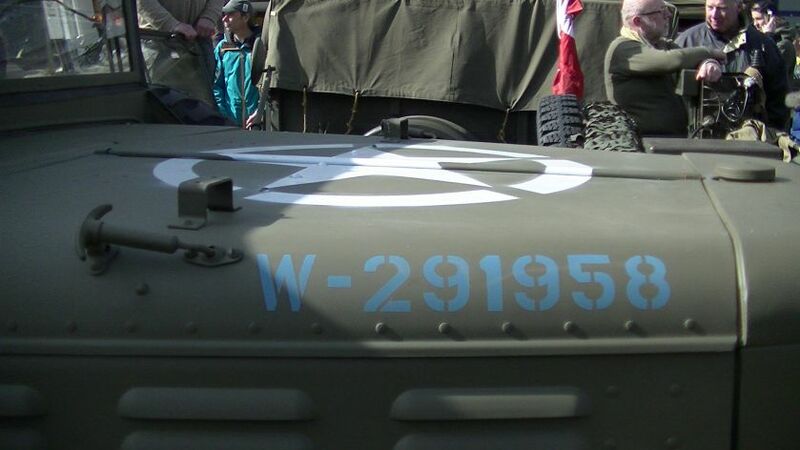 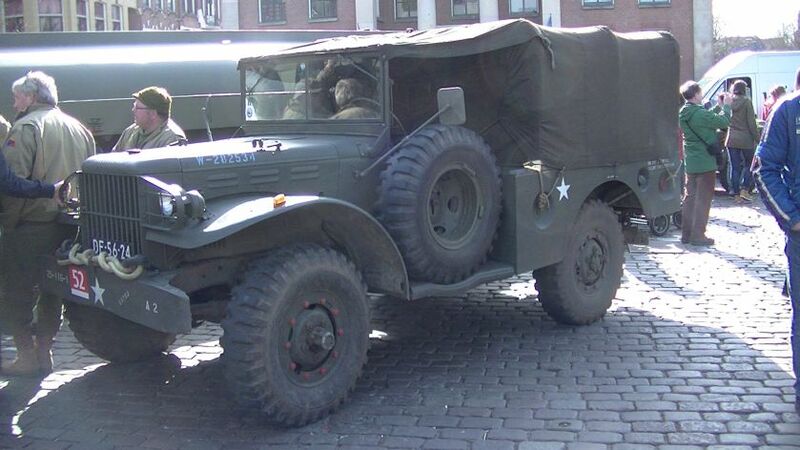 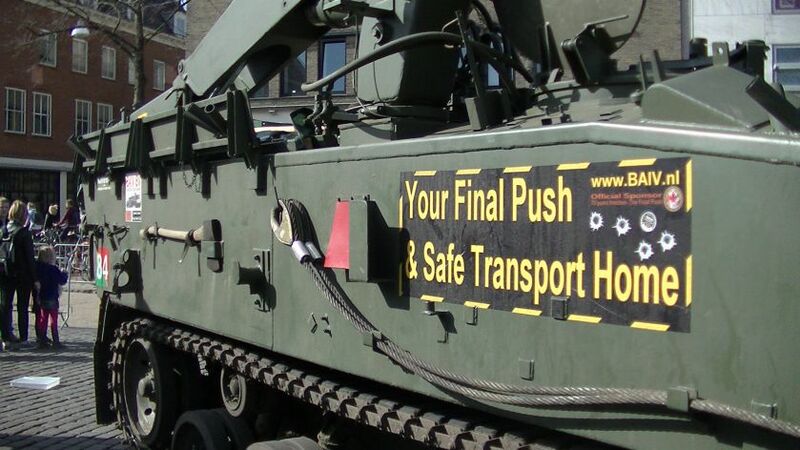 Afterwards we went to Vismarkt filled with historical military vehicles of Keep Them Rolling. 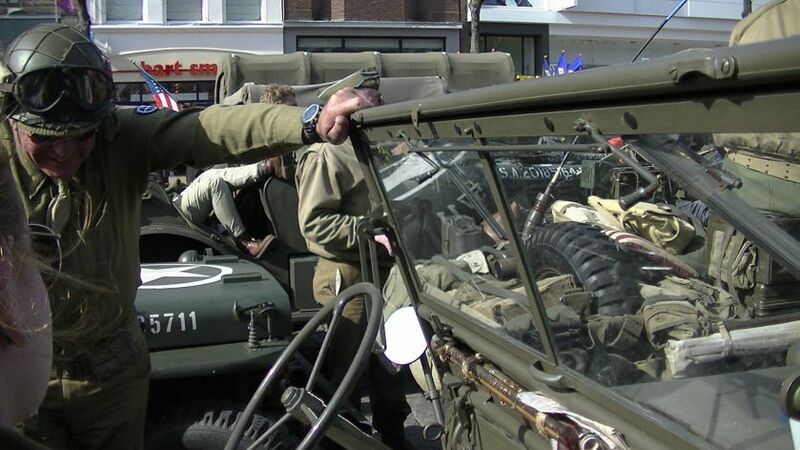 They had participated in The Final Push. 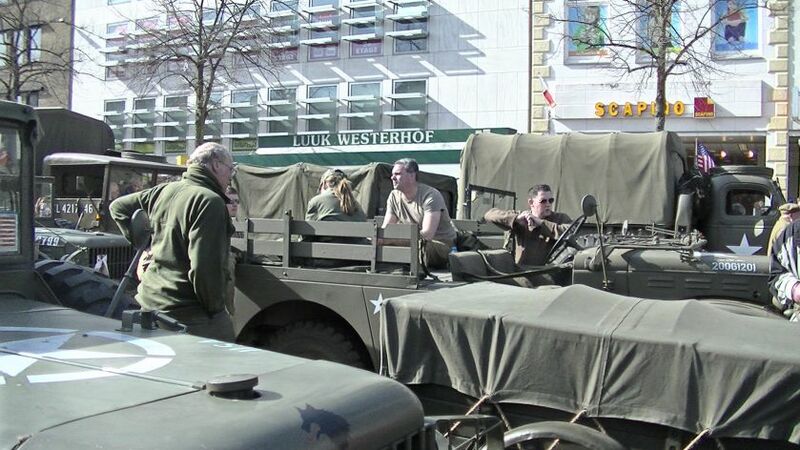 A column of military vehicles from the Second World War, which drove the same route as in 1945, the Canadian liberators of Groesbeek to Groningen.